Our thanks go to lifelong Village residents Ken and Lesley Johnson for sharing their memories of Christmas time in Milton Malsor. With additional contributions from Edith Sharpe and Alan Digby. The year is 1938 and the village shop is owned by Ken’s mother Charlotte (known as Lottie). It’s just a week to go to Christmas Day and the shop is looking resplendent with all its Christmas decorations. A queue of children began to form by the door and it quickly grew as expectation rose. Yes, it really was Father Christmas! Each child, in turn, was invited in to meet the great man and receive a small present. Even in the early 1960’s the shop was open on Christmas Day to enable residents to buy Ice Cream (not many people owned a freezer then). Ken recalls the days when the Village Green, opposite the shop, was lit by gas lamps and it was here that village folk gathered to sing Christmas carols. A brazier was lit to provide some warmth and a little more light. Later, the group would move to other parts of the village and continue to sing. They even wheeled the brazier around with them. 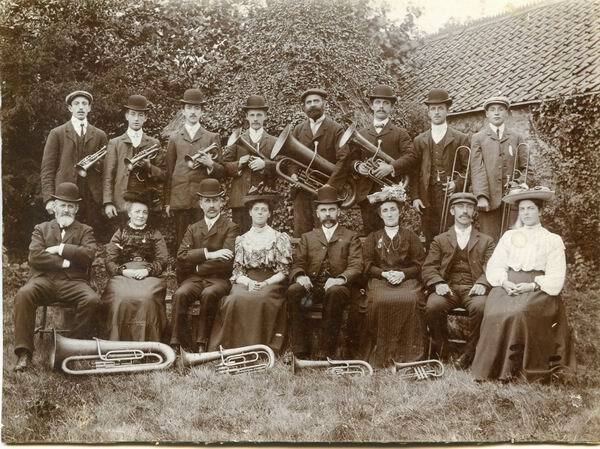 Music and carol singing was a real feature of life in the village at Christmas time and for a number of years the Salvation Army Band visited and played carols at the village green. Milton did in fact have its own band known as the Milton Prize Silver Band. (How it got that name no one appears to know, but Alan is sure they never actually won any prizes.) Needless to say this band also played Christmas carols on the Green and again would move to other locations around the village. No mean feat with some of the large instruments that they carried. 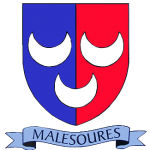 The Band finally broke up in the early 1950’s and some of the instruments were given to Roade School. In addition to its own band, Milton also had a Ladies Choir and they would sing carols in the church and village hall. Presumably in need of lubrication, they would also visit the Greyhound and Compass! In the 1960’s the Compass was very much the “village pub”. One of the regulars at the Compass, Bill Pell, when he bleached his beard white, became a Father Christmas look alike and used to arrange half day Christmas Parties for Disabled children. Christmas was always a favourite time of the year for Ken. No doubt that was in part due to the fact that when he and his brother Richard used to deliver Christmas groceries from the shop at least one house holder used to invite them in and serve a glass of sherry and mince pies. With Amazon now proposing to deliver goods by drone times really have changed!